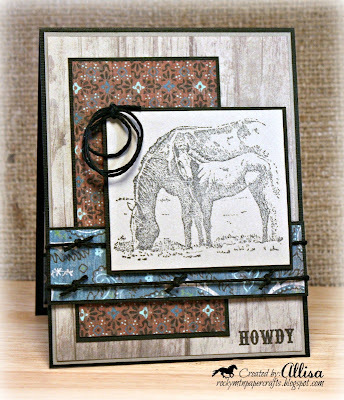 Deanne has a great challenge for us this week at Papercraft Star. I expect to see a wide variety of entries in the challenge! She picked out this awesome inspiration photo and wants you to show us what you find beautiful. 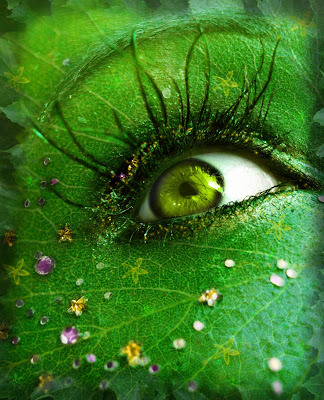 While I find the inspiration photo striking...I decided to go with the theme of what I find beautiful. Currently the inspiration photos are totally optional at Papercraft Star. We will be changing the format in June, but for now they are use if you choose! I find beauty in all creatures, but have a special fondness for horses. The moment I saw the theme of the challenge, I knew I would make a card featuring horses in some way. If you have followed my blog for any amount of time, you also know I have a great fondness for the Dakota paper line by Close To My Heart. 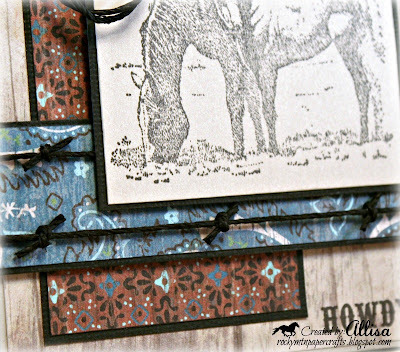 The Dakota line works especially well with all of my horse stamps! 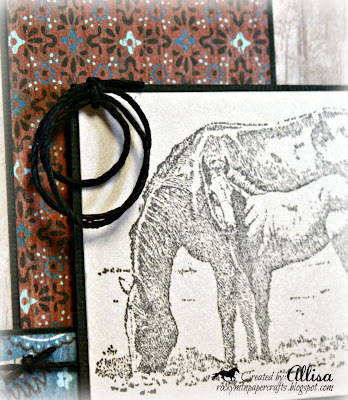 Hemp twine is great for adding rustic accents to your card without adding a lot of bulk. I rolled a length of twine to create a lasso for an embellishment on my card. I simply knotted the ends to tie it all together. Creating barb wire is easy peasy with hemp twine. I first cut my twine to length, then I go back and tie on each "barb" and trim to size. 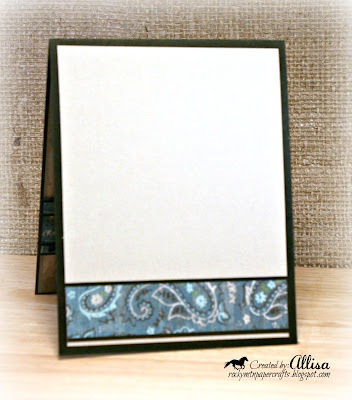 Super easy, takes very little time and adds a lot to your finished project! Thanks so much for stopping by! Hope to see your beautiful creations at Papercraft Star this week! I also have blog candy available...you can enter on this post. 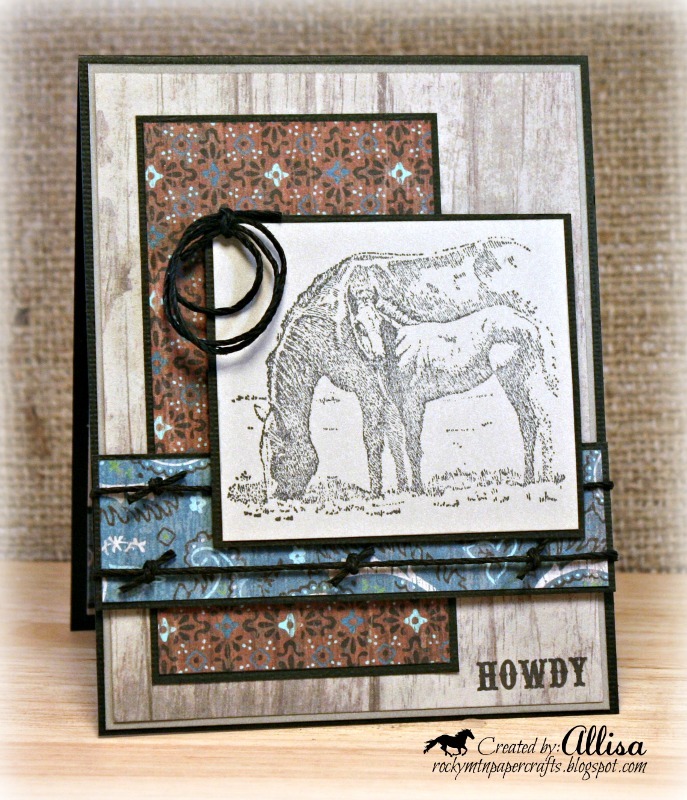 That's a lovely stamp and your card is perfect for it! 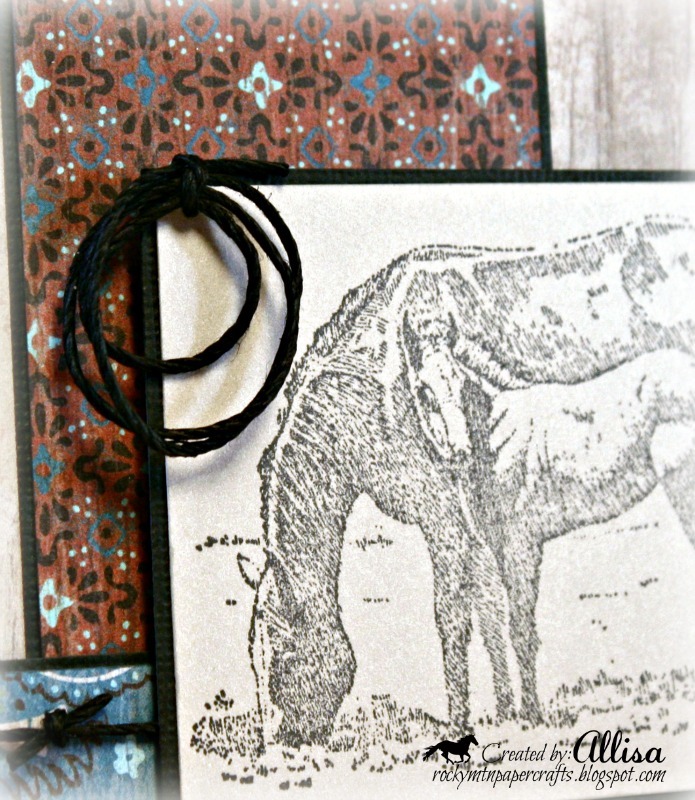 The twine accents really bring this card to life Allisa. Fabulous! Hugs! Such a pretty card. Love the "rope" and "barbed wire". 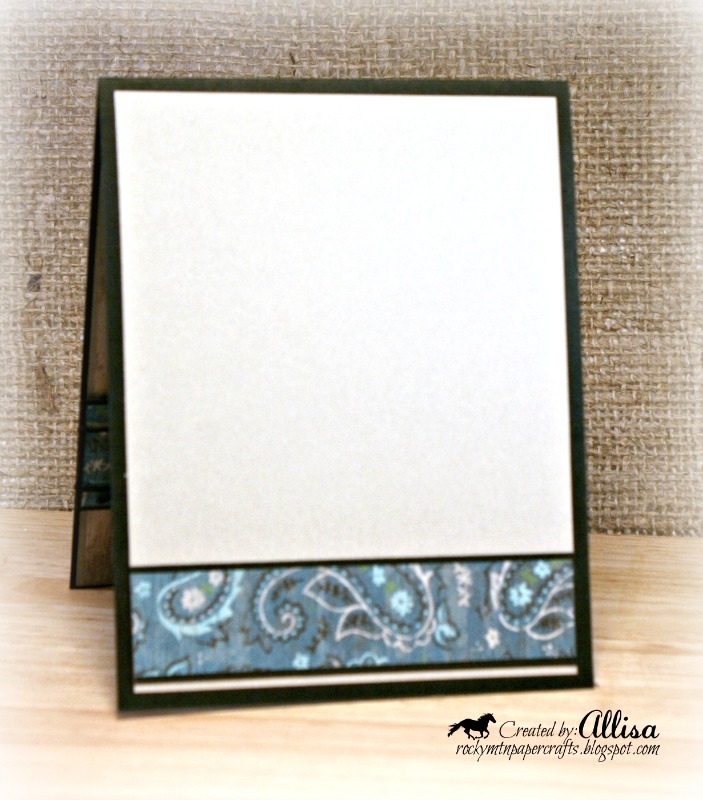 Allisa this paper line and stamp do go so well together. I like the country look you have created using these two together. Your card is beautiful! Thanks for the barbed wire tip. TOTALLY gorgeous card! LOVE that image, and all the perfect colors!!! Thanks for joining us this week at My Craft Spot!!! Lovely card! Really love the lasso and barbed wire embellishments. Fantastic card! The tied rope is awesome! Thanks for playing at My Craft Spot!